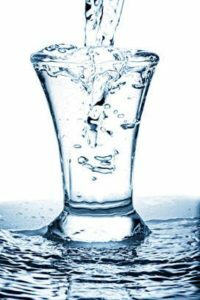 From Glass Half Empty…..To Overflowing! We all know the glass half empty vs. half full analogy. 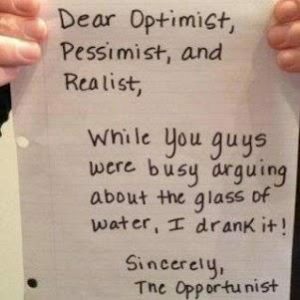 It shows our perspective about life – Pessimism vs. Optimism. I used to have a very negative view about life. God changed my perspective. I didn’t just go from glass half empty to half full…..it is now overflowing! In my childhood, teens, and early twenties I had a lot of problems. So, my outlook was bleak. I saw the negative in every situation, and could always see why something would not work out. Now I see the positive in almost every situation. Even the “bad” things. Now I can see how my challenges helped make me into the person I am today. All things work for the good of those who love the Lord. Be honest with yourself. Take an honest assessment of your life and mindset. If you are negative, own it. You cannot change a behavior until you are honest about it. Read the Bible. The bible is the most effective tool to change your mindset. If you are in this life without God, then you should have a negative outlook! Unfortunately, there are many people who do believe in God, go to church every Sunday, and STILL have a negative view of life. So, don’t just read it, APPLY IT!!! Transform your thinking – It all starts with a thought! In essence, what you are doing is training yourself to think a different way. It is also important to remember just how remarkable we are as humans. We get so bogged down with everyday life that we forget how incredible life really is. I know this may sound cliché but if you woke up this morning you have something to be thankful for. Do you have use of all of your limbs? Have your eyesight, hearing, and can speak? Shelter…Food? Are your children alive and healthy? If you answered yes to these questions, then you have a lot to be thankful for. I know we complain about the racism, politics, poverty, and a host of other issues in our country, and please know that I am fully aware of these issues. They are very real. However, we also should remember that we live in one of the most powerful country’s in the world, and that is also something to be thankful for. Part of what makes immigrants successful is not just the advantages and resources they receive, it is also their perspective of the U.S. They truly view it with a glass half full mentality and they come here ready to take full advantage of the opportunities. 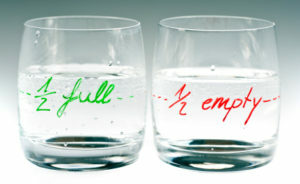 My glass is no longer half empty, it is overflowing. I am healthy, educated, and employed. Loved by a host of family and friends. I have a beautiful home full of everything that I need. I have a car to get my daughter and I everywhere we need to go. My daughter is beautiful, happy, smart, and a good person. My first daughter is not here with me, and that is the hardest thing I have ever been through. But I have peace knowing she is with God, safe and sound. It took years of hard work to gain that perspective. For many years I was mad at God, confused and hurt as to why my child had to die. So, if God could give me peace, He can do the same thing for you. Even if you are in the midst of hardship, trials and tribulations, think about these things and ask God to take your glass from half empty, to half full, to overflowing.